ISLAMABAD — Afghan officials say gunmen have shot dead six government workers, including five women in southern Kandahar province. 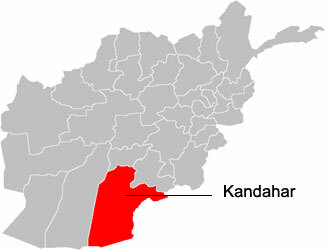 The early morning attack occurred when unknown assailants ambushed and sprayed with bullets a minivan transporting the female Kandahar airport security staff to work. The deadly attack also left the male driver dead. There were no immediate claims of responsibility for the violence, the latest in a string of attacks against women in Afghanistan. A spokesman for the Taliban denied its involvement, saying the Islamist insurgency has nothing to do with the attack. The U.N. Assistance Mission in Afghanistan, UNAMA, has condemned Saturday’s violence and called for accountability for all targeted attacks against Afghan women. Taliban insurgents routinely carry out attacks against Afghan security personnel and have recently expanded their activities to many provinces, particularly in southern Afghanistan.